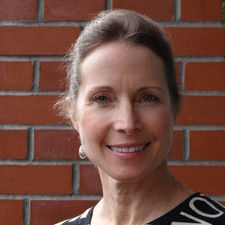 Dr. Judy Schnarr graduated from the University of Waterloo School of Optometry in 1985. In 1986 she opened the clinic that is now Pacific eyeDoctors®. Dr. Schnarr has served as a councilor for the BC Association of Optometrists as well as their chairman of Continuing Education. She also served on the executive of the Fraser Valley Association of Optometrists. Dr. Schnarr has been a clinical investigator for ophthalmic manufacturers and has spoken at contact lens seminars. Her areas of interest include diabetes, dry eye and geriatrics. You may run into her outdoors as she’s a fan of hiking, and downhill and cross-country skiing. An ardent student of nutrition, pilates and yoga, she is happy to talk to you about strategies for health maximization. Dr Schnarr the proud mother of daughter Dr Kate Piotrowski who has joined the practice.